Plantation Car Accident Attorney Robert E. Gluck knows, that even a small auto accident can become more serious if the car malfunctioned somehow. For example, the gas tank, seat belts or design of the car, could have malfunctioned. Robert E. Gluck has many years of experience legally representing clients with cases similar in nature to yours. In all of these cases, the injured person was not at fault. If you have been in an accident, and are injured, seek the legal guidance of Robert E. Gluck. 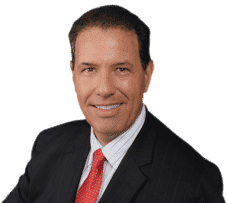 Your Plantation Car Accident Attorney Robert E. Gluck will serve as an excellent voice for you during this stressful time. Sometimes our injuries are worse than they first seem. Do not take a risk after your accident, visit a doctor as soon as you can following your accident. When you meet with Robert E. Gluck he will decide who is at fault, and proceed with the case as he feels is best. A claim will be made against the guilty party. He will meet with witnesses, obtain their statements, examine the police report, and evaluate the property for damage. Hiring a Plantation Car Accident Attorney is important in improving your chances of receiving higher compensation. Studies indicate that injured persons with legal representation have a higher chance of receiving a financial compensation they will be happy with. It is equally important that you hire an attorney who has experience with cases similar to yours, in the same branch of law. Your lawyer will complete a full investigation of your accident, and guide you with the entire claim process. You can count on Robert E. Gluck to provide you with the legal services you are entitled to receive. He truly cares for his clients, and knowing he will be at your side from start to finish, will help tremendously during this difficult time. Robert E. Gluck, your Plantation Car Accident Attorney, understands what a difficult time this is for you. You are experiencing a huge loss, and are wondering who will pay for your medical and car repair bills, as well as your rent if need be. Perhaps the biggest question you are asking is whether the driver at fault has insurance. You do not have to worry about these things, Robert E. Gluck will take care of everything for you. He knows how emotionally and physically exhausting this period is for you, so he will do everything he can to lessen the burden. An accident can also be a huge financial stress, but Robert E. Gluck will fight hard for you to get you the financial compensation you are entitled to.